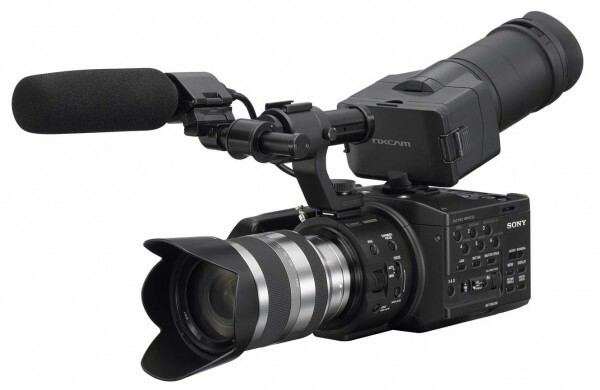 With less than a year under its belt, the Sony FS100 is scheduled to receive its first firmware update. Nothing major looks to be added or changed, rather expect to see several minor tweeks to help make FS100 shooters’ lives a bit easier. Added 50Hz recording system (PAL): 1920×1080 50p, 50i, 25p and 1280×720 50p. Camera Profile (camera settings can be saved to and loaded from a memory card). Additional 4x and 8x Expanded Focus magnification: (with user selectable focus area). Selectable ISO or GAIN sensitivity display. Selectable Focus indication in FEET or METERS (E-mount lens only). Selectable Shutter indication as EXPOSURE TIME or SHUTTER ANGLE. Added the following Aspect-Ratio markers: 2.35:1, 1.85:1 and 1.66:1. Display ON/OFF button enables Zebra and/or Histogram overlay onto video output. Compatible with the new A-Mount to E-Mount adaptor, model LA-EA2. One push Auto-IRIS and Continuous 15-point, Phase-Detection Auto-Focus operation with most Alpha A-Mount lenses is available. Lens metadata is displayed onscreen and stored real time to image file. Can I upgrade for NEX FS100CK? Yes I do, with out any problem. Everything work fine for me.